If you have read enough of this blog, you know I love a red carpet and last night’s Golden Globe Awards carpet did not disappoint. Blush was clearly the color of the night and strapless gowns were all the rage. There were mostly hits and only a couple of misses. Check out all of my best and worst below. Partners – Right off the bat it looks just like Will & Grace, which I liked. Glad Brandon Routh has found some steady employment. I didn’t love the show but I liked it. It was consistent and has some laughs. I like Sophia Bush’s character. I feel like she is still playing Brooke from One Tree Hill though. Michael Urie is adorable. It looks like he is playing a less bitchy version of his character on Ugly Betty. We’ll see how the next episode goes. The Mindy Project – Liked it. Its funny and quirky (not Zooey Deschanel annoying quirky. I love New Girl but sometimes its just too much). The show wasn’t a slam dunk but it has great potential. Mindy Kaling is a great writer so I only see the show getting better. I thought the supporting characters were pretty good as well. This gets a season pass because I really like Kaling. Ruby Sparks is the story of Calvin (Paul Dano; Knight and Day, Little Miss Sunshine), a young novelist who achieved crazy success early in his career. He is struggling right now from severe writer’s block and a lack of a romantic life. The only kind of play that he is getting are from groupies (who knew there were author groupies? I didn’t) and girls in how dreams. When his therapist gives him an assignment, he makes a breakthrough and creates a character named Ruby who inspires him. When Calvin finds Ruby (Zoe Kazan; It’s Complicated, The Private Lies of Pippa Lee), in the flesh, sitting on his couch about a week later, he is completely stunned that his words have turned into a living, breathing person. From there we see the dynamics of a relationship where one person is the perfect person for them and what happens when that perfect person starts to change and come into their own. I didn’t really know what to expect from this movie. I hadn’t seen a trailer and all I knew was that it was it was done by the director of Little Miss Sunshine. I liked that movie so I figured I’d probably like this one, which I did. Like Little Miss Sunshine, Ruby Sparks is cute, funny, and very quirky. It’s a smart romantic movie without most of the usual clichéd mess that comes with romantic comedies. I liked Kazan. The movie is written by her and I was very surprised because I didn’t know she was so talented. The only thing I had seen her in was It’s Complicated as Meryl Streep’s daughter and she didn’t have a big part in the movie. I would put Ruby Sparks in the realm of recent romantic movies like 500 Days of Summer that also starred another funny, quirky girl, Zooey DesChanel. It starts off pretty fun and funny then it gets kind of dark. I would recommend this movie. The acting is pretty good and the story is pretty well written. 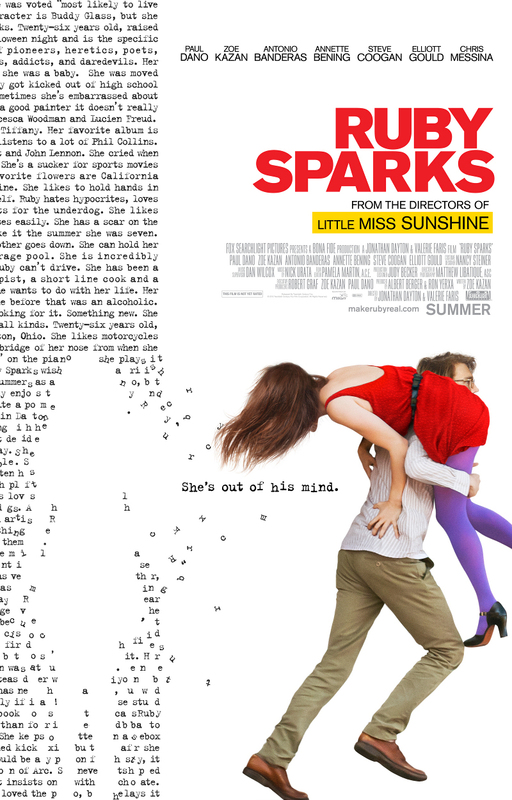 Check out Ruby Sparks in theaters now. 2012 Emmy Nominations Are Here!!!!! 2012 Emmy nominations were announced this morning and there were shocking nominations at all. They were announced by Late Night With Jimmy Kimmel’s own Jimmy Kimmel and Scandal‘s Kerry Washington (chick looked specially fresh-faced for it being 5:30 in the morning L.A time). Kimmel showed up in his pajamas to read the noms because of the ungodly hour. He was his hilarious self as usual and brought a breath of fresh air to the usually stiff nomination reading. AMC’s Mad Men and FX’s American Horror Story landed the most nominations with 17. Hatfield & McCoys (History), Breaking Bad (AMC), Game Change (HBO) and Modern Family (ABC) also earned multiple nominations. There were many first time nominees including Bill Hader (Supporting Actor Comedy, Saturday Night Live, NBC), Zooey Deschanel (Lead Actress Comedy, New Girl, FOX), Max Greenfield (Supporting Actor Comedy, New Girl, FOX),and Lena Dunham (Lead Actress Comedy; Writing For Comedy, Directing For Comedy , Girls, HBO). Here are the rest of the nominees and a couple of thoughts on some of them. Veep – Yes this show is soooo funny. Kathy Bates, Harry’s Law – Seriously this nomination could have gone to someone else. Michael C. Hall, Dexter – Last season of Dexter was not that great. This spot should have gone to John Noble (Fringe) or Timothy Olyphant (Justified). The Voice – Maybe the first season of The Voice should have been nominated but not this season’s. Top Chef – This show is consistently the best show out of the bunch so it should it. Julia Louis-Dreyfus, Veep – So happy about Veep‘s nomination. This show is sooooo hilarious. Melissa McCarthy, Mike & Molly – I love her but no this should be someone else. Jon Cryer, Two and a Half Men – Really? WHY ARE THEY STILL NOMINATING HIM? Joel McHale should be here. Max Greenfield, New Girl – I hope he wins. Schmidt just makes this show a lot of times. Archie Panjabi, The Good Wife – YESSSSS I love Kalinda. Cat Deeley, So You Think You Can Dance – Yes love Cat. She definitely deserves it. Sofia Vergara hosted Saturday Night Live this weekend and one of the better skits was the Bein’ Quirky bit with Abby Elliot as Zooey Deschanel. Her impersonation of Deschanel is pretty spot on. Vergara plays The Nanny’s Fran Drescher in an ok impersonation. Kristen Wiig is also in this skit as Zooey’s best friend, Drew Barrymore. It’s hilarious. Also check out this other skit they did spoofing Andy Cohen and his Watch What Happens Live show on Bravo. It’s hilarious because its so true. Every year when September rolls around I always get excited. Not just because it’s my birthday month but because fall tv returns. I LOVE FALL TELEVISION. 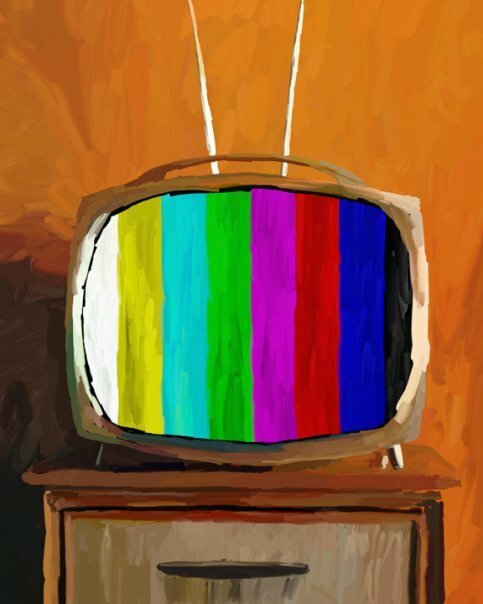 The networks roll out all their new shows that got picked up and old favorites return. This fall there are over 127 new and returning shows starting Sept 13th from cable and the big 5 networks. I will be watching all of the new ones for at least 3 or 4 episodes before I decide if they are any good and cut them off. How I’m going to manage that, I don’t know. Entertainment Weekly has a nice article with tips on how to navigate the fall tv season so it’s gonna be all good. This season there are many shows that I’m looking forward to, both new and returning, but I have managed to narrow down the list to 10 (5 returning and 5 new) that I think everyone should watch.